Did you know there are palm trees in Switzerland?? As we have mentioned before in the blog, there are four different lingual / geographical groups in Switzerland – French Switzerland, German Switzerland, Romansch Switzerland, and Italian Switzerland. So, when we were only an hour from the Italian part (called Ticino – in green, below) when we were in the Italian lake district, I jumped at the chance to swing through two of the towns on the way home to Geneva. I legitimized we’d need to stop for a coffee and for lunch, of course. Little did I know the travel drama that this would cause (post to come). 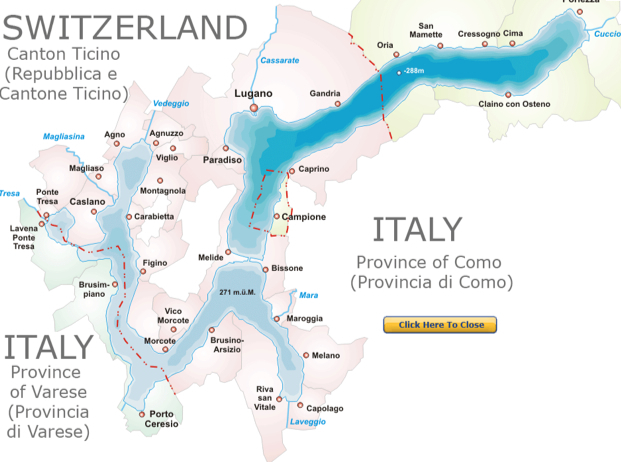 Lake Lugano rests in both Switzerland and Italy. Lugano is at the northernmost part. This entire area is known for its mild Mediterranean climate, complete with palm trees and tropical plants. Yes, in Switzerland. As we drove into town, we were impressed by the scenery, most notably, the large hill to the left of the town. We parked and strolled through a nearby city park, sitting for a cappuccino and a espresso. Just coming from Italy, we noted we were back to Switzerland prices. And service. Gabe commented on the little baby Jet d’eau that they had (as can be seen in the photo above). All in all, it was a nice city. Not sure if we’ll travel back, but I am glad we got to see it. You might want to check on Schwingen in Switzerland’s adventures there (link below). They had a sunny day and a bit more time for exploration. This entry was posted in Daytrips from Geneva, Lakes & Water, Spring, Switzerland, Travel: Within Switzerland. Bookmark the permalink. Next time, I think you need to take a boat from Lugano to a nearby town called Gandria, which is also on Lake Lugano. You should have lunch in that little village – I had the best pasta I’ve ever had at a restaurant called Locanda Gandriese (and I’ve had my share of pastas in throughout Italy). Check out my post about it: http://thelulife.wordpress.com/2012/05/20/dining-in-gandria/ ! Oh and you should also take the funicular up to that giant hill (San Salvatore) to “the left of Lugano”. It’s kind of a scary ride! If you get the chance to go back, check out Riva San Vitale. It’s a small town on Lake Lugano south of Lugano. It’s the location of Virginia Tech’s Center for European Studies. It’s a cool little town and always some Hokies around! 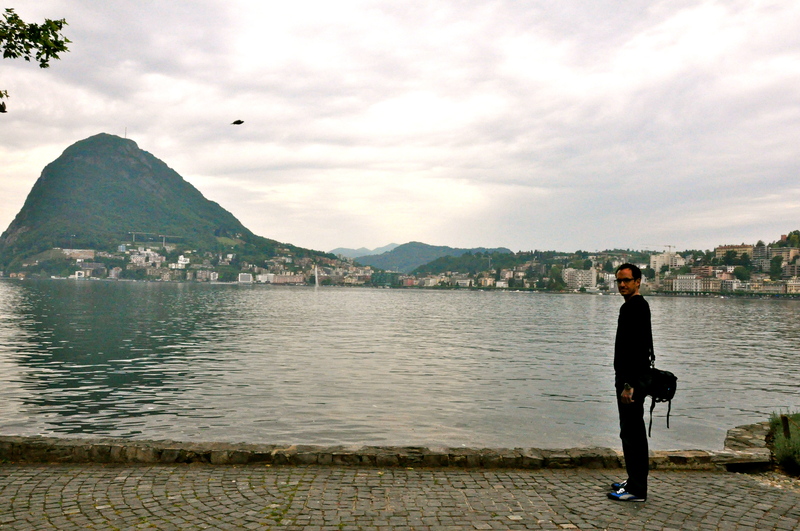 Lu: I have been traveling and am behind but noticed you have new posts from Luzern and Lake Lugano – can’t wait to check them out and get more tips for future travels to Ticino. I am planning to go to both Luzern and Jungfrau/Top of Europe with my Mom in July, so I look forward to hearing what you think about those too. Josh: Can’t believe I forgot to check into the VT Switzerland campus. Now I definitely know I need to go back to Ticino!! Go Hokies. Or maybe that should be “Andiamo Taccchino”! !